A trip around the Bicol Region is one of the best adventures anyone can have in the Philippines, and the best starting point for that journey is Daet, Camarines Norte. While the provincial capital gets its fame for being a top surfing destination in the country, there’s still a lot to be explored – so much more. Starting off your trip in the town proper or Centro gives you a glimpse of its centuries-old church: St John the Baptist Church. Right across is Camarines Norte’s Capitol which features 12 pillars representing its municipalities. The public park called Kalayaan is within the Capitol grounds and is a place to just relax and unwind. 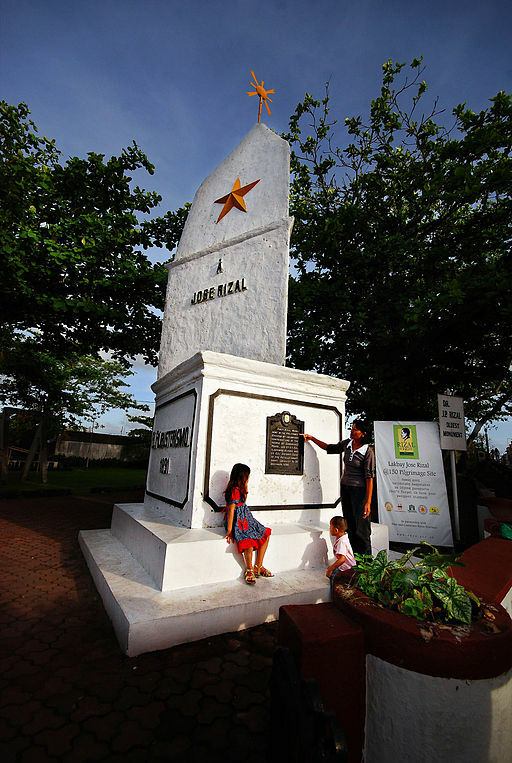 Other nearby attractions include the First Rizal Monument (built two years after the hero’s execution) and the Camarines Norte Martyr Monument. 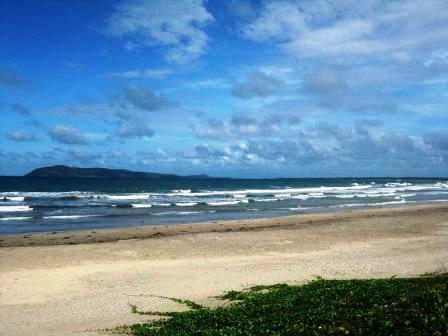 Bagasbas Beach is one of the best known attractions in Daet. With surf breaks and a sandy bottom, Bagasbas makes a great introduction to the world of surfing. Philippine cuisine is filled with so much flavor and textures thanks to a multitude of influences. The cuisine of Bicolandia is known for being spicy and it’s definitely worth the try. 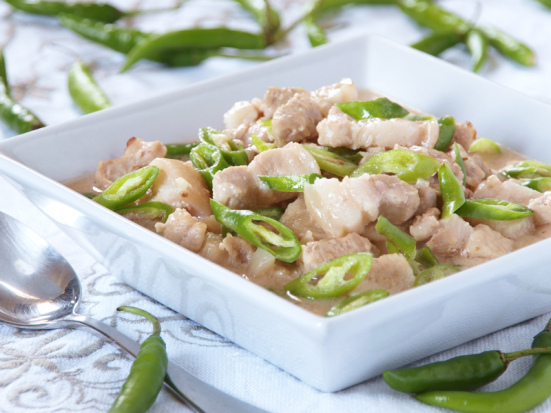 Coconut milk is one of the main ingredients of Bicol’s dishes and it is present in one of the area’s most famous food items: Bicol Express (pork stew with chili’s and coconut milk). Another local delicacy is tuhad-tuhad that features – you guessed it – coconut milk. It tastes like squid and one can still taste the ocean as well as the sand. 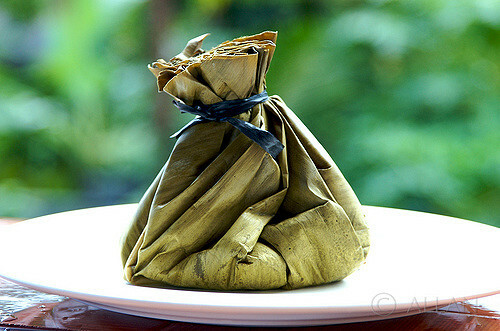 Binut-ong is a kind of rice cake that can be eaten as a snack and of course, it is made with coconut milk and sugar. 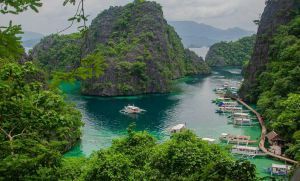 Technically, the islands are in a nearby town called Mercedes but the unspoiled nature of the place makes it worth the travel. There are seven islands, namely: Apuao Grande, Apuao Pequeña, Canton, Canimog, Caringo, Malasugui and Quinapaguian. Of these, the largest islands – Apuao Grande, Apuao Pequeña, Canimog and Caringo – serve as the main attractions. Of the four main islands, only Apuao Grande and Caringo are inhabited. As such, those are the only two islands that have accommodation options should you want to stay. The islands are home to a healthy marine ecosystem as well as forests teeming with wildlife. Daet is about an 8-hour trip by bus from Manila. Just let the driver know that you’re getting off at the town proper or Centro. The Daet route is served by different bus liners like PhilTranco and the terminals are either in Pasay or Cubao. Bus fares differ per company and ranges around PHP550 to PHP900. 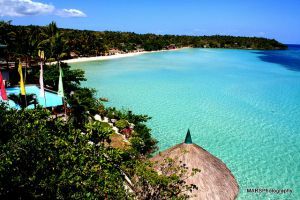 You also have the option of flying to Naga City in Camarines Sur then taking a two-hour bus ride to Daet. There’s so much more to Daet than surfing. There’s history to be enjoyed here as well as good food to be savored. Not to mention, Camarines Norte’s provincial capital is also a great jump-off point to exploring the Bicol Region.